Darkshade Caverns I is a group dungeon found in southeastern Deshaan. As Deshaan's largest kwama mine, the caverns' ownership remains hotly contested. 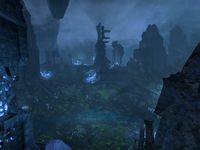 The caverns also contain the hidden Dwemer ruin of Rkugamz. In the normal version, Tervur Sadri wants you to help him reclaim his mine from thugs within. You can learn about its location from Mad Zebba outside Elden Root, Lady Blade outside Wayrest, or Hranir Icy-Mane outside Mournhold. The following item sets will drop both Darkshade Caverns I and II: Armor of Truth, Netch's Touch, and Strength of the Automaton. Darkshade Caverns Objective: Explore the Darkshade Caverns. Darkshade Caverns I Vanquisher 10 Defeat Foreman Llothan, the Hive Lord, and the Sentinel of Rkugamz in Darkshade Caverns I.
Darkshade Caverns I Conqueror 10 Defeat Head Shepard Neloren, Foreman Llothan, the Hive Lord, the Cavern Patriarch, the Sentinel of Rkugamz, and the Cutting Sphere in Veteran Darkshade Caverns I. Well Out of Warranty 50 Defeat the Sentinel of Rkugamz in Veteran Darkshade Caverns I, after invoking the Scroll of Glorious Battle. Veteran Kwama Slayer 10 Defeat 300 Kwama in Veteran Darkshade Caverns I. Veteran Pit Rat Slayer 10 Defeat 175 Pit Rat Thugs in Veteran Darkshade Caverns I.
Darkshade Caverns I Survivor 50 Defeat Head Shepard Neloren, Foreman Llothan, the Hive Lord, the Cavern Patriarch, the Sentinel of Rkugamz, and the Cutting Sphere in Veteran Darkshade Caverns I, without suffering a group member death. Darkshade Caverns I Assassin 50 Defeat Head Shepard Neloren, Foreman Llothan, the Hive Lord, the Cavern Patriarch, the Sentinel of Rkugamz, and the Cutting Sphere in Veteran Darkshade Caverns I within twenty minutes of starting the dungeon. Timer starts when a group member descends into the caverns. 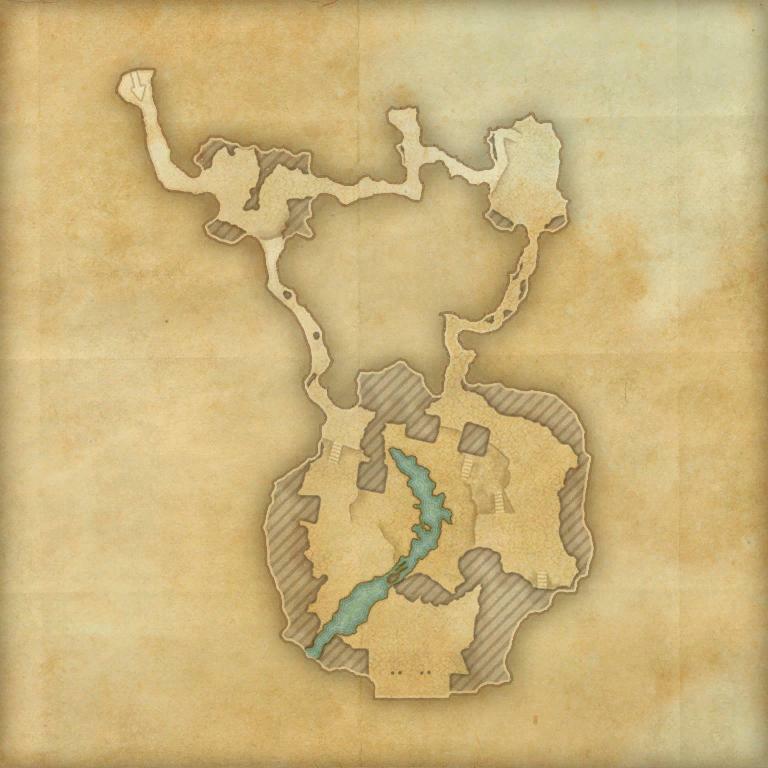 Before dungeon scaling was introduced in Update 5, Normal Darkshade Caverns was designed for levels 20–23, and Veteran Darkshade Caverns was designed for Veteran Ranks 6–10. Prior to Update 12, Darkshade Caverns I was only available in Normal mode, and Darkshade Caverns II was only available in Veteran mode. These were named Darkshade Caverns and Veteran Darkshade Caverns respectively. This page was last modified on 18 September 2018, at 22:46.